WHEN he was six years old, Jay’s mother brought him to Child and Adolescent Mental Health Services (CAMHS). His school had encouraged her to get help for Jay because in the classroom he was having frequent temper tantrums, and would throw chairs at teachers and other children. Jay’s mother was distraught. Why was he having these problems only at school and not at home? Jay was offered psychotherapy and his teachers managed his behaviour as best they could. This patchwork of support continued for two years with little improvement, and with persistent negotiations between mental health and educational services as to whose responsibility it was to help Jay. The clinical psychologist supervising the case decided it was time to review the treatment plan. While reviewing the file, she noticed that there was an extensive family history of dyslexia and that Jay’s temper tantrums seemed to occur when he was faced with specific cognitive tasks. She decided that Jay should have a full neuropsychological assessment. Three years after he was first seen by mental health services, Jay was diagnosed with a specific disorder of written expression. A referral was made to occupational therapy. This led to clarification of Jay’s writing difficulty and to suggestions for classroom and home-based remediation. Another clinical psychologist began a course of psychotherapy with Jay, helping him cope emotionally with his writing difficulty. It was a great relief to Jay’s mother to have found an explanation for her son’s problems and she gladly played her part in the treatment plan by working with him every evening on writing tasks. Jay’s aggressive behaviour soon stopped. Approximately 45 per cent of children and adolescents attending mental health services have a reading or communication disorder (Cohen et al., 1998; Javorsky, 1995), compared to 5 per cent of children in the population as a whole. Around 33 per cent of children diagnosed with attention deficit disorder (ADD) have been found to have a mathematics disorder, compared to 1.3 per cent in the general population (Semrud-Clikeman et al., 1992). Up to 50 per cent of children diagnosed with attention deficit disorder also have motor coordination disorder, compared to 6 per cent of the population (Peik et al., 1999). In general, young people seen by CAMHS have approximately nine times the rate of learning and motor difficulties that would be expected in a random sample. Several hypotheses have been advanced to account for this (see box). Some researchers have even argued that ‘comorbidity’ is a misnomer: rather we should be thinking of the common overlap of psychiatric, behavioural, motor, learning, and academic difficulties as indicative of ‘atypical brain development’ (Gilger & Kaplan, 2001). The co-occurrence of psychiatric and cognitive deficits has important implications for treatment. Research shows that when treatment plans combine remediation of learning difficulties, psychotherapy, and work with parents the outcome is far better than when these interventions are made separately (Hechtman et al., 1996). A significant factor is the effect on parental attributions. In the case of a language impaired child, for example, the neuropsychological diagnosis changes the way parents see their child – they come to attribute the child’s behavioural problems to lack of verbal comprehension rather than deliberate misbehaviour (Cohen et al., 1993). In 2000, the CAMHS Tier 3 outpatient service in Cambridge began to realise that there were many children receiving treatment within our service who had unidentified significant learning difficulties. We were concerned that in some cases treatment was being eroded by the lack of attention to cognitive and motor development. We undertook an internal audit to identify the need for neuropsychological evaluation. The audit revealed inconsistency in referrals for neuropsychological testing, with referral rates differing greatly depending on the clinician assessing or treating the child. Clinicians varied in their referral patterns for a number of reasons. Firstly, there was wide variation in clinicians’ attention to developmental deficits in the children they were seeing. Some clinicians thought that assessment of learning difficulties was the responsibility of professionals in education. Other clinicians recalled that in previous years clinical psychologists had expressed concern at being asked to generate IQ scores in a vacuum, and so there was an assumption that clinical psychologists in our service did not see neuropsychological assessment as an ongoing part of their clinical work. In other cases, clinicians believed that learning difficulties were not associated with emotional and behavioural difficulties, or that, if they were, they could be treated separately. Following on from this audit, we attempted to change the way our service thought about neuropsychological assessment. As individual psychologists we did this by paying greater attention to indications that a child might have learning difficulties and by then suggesting neuropsychological assessment to our multi-disciplinary team colleagues. We organised in-house lectures to present the research findings on prevalence of learning difficulties in children referred to CAMHS, and on the effectiveness of identifying and working with these difficulties in a CAMHS setting. We have created a referral sheet and an information sheet about the neuropsychology referrals group. The information sheet suggests when a child might be referred for an assessment, what information an assessment can yield, and how the assessment will be integrated into ongoing work within CAMHS. The referral sheet requires the clinician to state what they hope to achieve by requesting a neuropsychological assessment and how the results will be important for ongoing therapeutic work. The purpose of these documents is to encourage our service to think about neuropsychological assessment as integral to the therapeutic process rather than as merely a request for an isolated measurement. We have started monthly meetings of the neuropsychology referrals group. During these meetings we review all requests for neuropsychological assessment to consider whether therapeutic intervention will benefit from a better understanding of the child’s intellectual ability, whether other assessments have already been undertaken that could answer the concerns of the clinicians, what neuropsychological functions should be assessed and how to do this. When assessments are completed, we review how the findings can best be incorporated into the therapeutic work with the child and the family. We have found that an effective way of integrating neuropsychological assessment into the child’s treatment is to meet with the child, the child’s family, and the referring clinician before determining hat to assess. In this way, we formulate questions that the clinician and family share and agree are important to the child’s therapeutic progress. We have a second meeting after the assessment has been finished to agree how the assessment findings will be incorporated into the treatment plan. We have expanded our testing resources to reflect current neuropsychological models and have drawn up an agreed hierarchy of test materials, moving from screening measures to full assessment batteries, in particular areas such as executive function, reading, language, attention, etc. We continue to develop understanding of child neuropsychology by inviting experts in to discuss cases that we find challenging. It is now nearly 40 years since Michael Rutter and colleagues (Rutter et al., 1970), in their discussion of ‘Intelligence and Educational Attainment of Children with Psychiatric Disorders’, drew on findings from 1925 and 1952 in order to call attention to the fact that children with psychiatric disorders have a greatly increased risk of falling behind in school. We think it is time our practice finally caught up with the research. 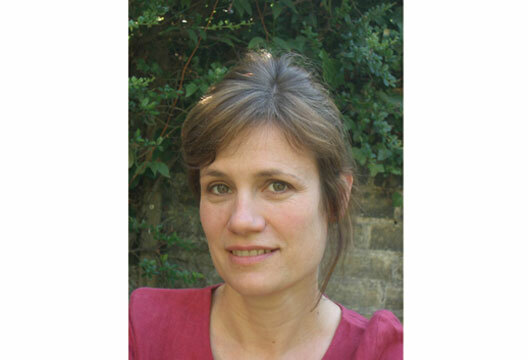 - Ayla Humphrey is with the Developmental Psychiatry Section, University of Cambridge and Cambridge and Peterborough Mental Health Trust. l Cognitive/motor difficulties and behavioural/emotional difficulties may all reflect a general developmental delay (Tallal et al., 1989). l Genetic factors have been implicated by evidence that there is an increased rate of behavioural problems among relatives of children who have reading difficulties (Willicut & Pennington, 2000; Gayan et al., 2005). Recent advances in molecular genetics suggest that comorbity of behavioural and learning difficulties reflect pleiotropic genetic effects (Plomin, 2005). co-occurring behavioural problems and learning difficulties changes over time because of environmental factors and/or an age-dependent expression of the same underlying disorder. Rutter et al. (2006) and others have called this process ‘sequential comorbidity’. l The ‘failure hypothesis’ argues that children with learning difficulties experience school failure that leads to low self-esteem and secondary behavioural problems such as aggression (Grande, 1988). Of course, there is likely to be an interaction between all these factors (Frisk, 1999; Hinshaw, 1992; Williams & McGee, 1994). Cohen, N., Barwick, M., Horodezky, N., Vallance, D. & Im, N. (1998). Language achievement, and cognitive processing in psychiatrically disturbed children with previously unidentified and unsuspected language impairments. Journal of Child Psychology and Psychiatry, 39, 865–877. Cohen, N.J., Davine, M., Horodezky, M.A., Lipsett, L. & Isaacson, L. (1993). Unsuspected language impairment in psychiatrically disturbed children. Journal of the American Academy of Child and Adolescent Psychiatry, 32, 595–603. Frisk, M. (1999). A complex background in children and adolescents with psychiatric disorders. European Child and Adolescent Psychiatry, 8, 225–236. Gayán, J., Willicut, E.G., Fisher, S.E. et al. (2005). Bivariate linkage scan for reading disability and attention-deficit/hyperactivity disorder localises pleiotropic loci. Journal of Child Psychology and Psychiatry, 46, 1045–1056. Gilger, J.W. & Kaplan, B.J. (2001). Atypical brain development: a conceptual framework for understanding developmental learning disabilities. Developmental Neuropsychology, 20, 465–481. Grande, C.G. (1988). Delinquency: the learning disabled student’s reaction to academic school failure? Adolescence, 23, 209–219. Hechtman, L., Kouri, J. & Respitz C. (1996). Multimodal treatment of the hyperactive child with and without learning disabilities. In J.H. Beitchman, N.J. Cohen, M.M. Konstantareas & R. Tannock J.H. (Eds.) Language, learning, and behaviour disorders: Developmental, biological, and clinical perspectives (pp.395–417). Cambridge: Cambridge University Press. Hinshaw, S.P. (1992). Externalising behaviour problems and academic underachievement in childhood and adolescence. Psychological Bulletin, 11, 127–155. Javorsky, J. (1995). An examination of language learning disabilities in youth with psychiatric disorders. Annals of Dyslexia, 45, 215–231. Peik, J.P., Pitcher, T.M. & Hay, D.A. (1999). Motor coordination and kinaesthesis in boys with attention-deficit hyperactivity disorder. Developmental Medicine and Child Neurology, 41, 159–165. Plomin, R. (2005). Finding genes in child psychology and psychiatry: When are we going to be there? Journal of Child Psychology and Psychiatry, 46, 1030–1038. Rutter, M., Kim-Cohen, J. & Maughan, B. (2006). Continuities and disconuities in psychopathology between childhood and adult life. Journal of Child Psychology and Psychiatry, 47, 276–295. Rutter, M., Tizard, J. & Whitmore, K. (1970). Education, health, and behaviour. Longman: London. Semrud-Clikeman, M., Biederman, J., Sprich-Buckminster, S. et al. (1992). Comorbidity between ADDH and learning disability. Journal of the American Academy of Child and Adolescent Psychiatry, 31, 439–448. Tallal, P., Dukette, D. & Curtiss, S. (1989). Behavioural/emotional profiles of preschool language-impaired children. Development and Psychopathology, 1, 51–67. Williams, S. & McGee, R. (1994). Reading attainment and juvenile delinquency. Journal of Child Psychology and Psychiatry, 35, 441–459. Willicut, E.G. & Pennington, B.F. (2000). Psychiatric comorbidity in children and adolescents with reading disability. Journal of Child Psychology and Psychiatry and Allied Disciplines, 41, 1039–1048.